We are a leading Exporter of tenvir tenofovir tablet, teravir tablet, x-vir entecavir tablet and zidovir tablet from Mumbai, India. 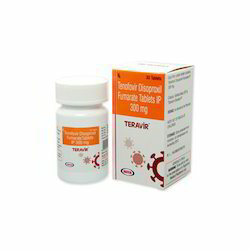 Our prestigious clients can avail from us a qualitative spectrum of Tenvir Tenofovir Tablet that is used to treat HIV, which causes the acquired immunodeficiency syndrome. This tablet is formulated using finest quality chemical compounds and highly developed machines in conformity to industry distinct norms. In addition to this, we also offer this tablet in diverse personalized packaging options within a promising time-frame and at most affordable rates. 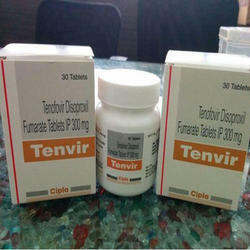 Teravir Tablet offered comprises Tenofovir Disoproxil Fumarate 300mg and is available under brand name Teravir. 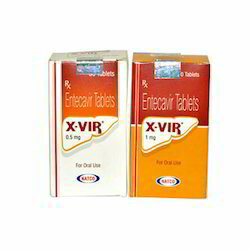 On the demand of our valuable clients, we are actively engaged in offering a supreme quality X-Vir Entecavir Tablet. The offered medicine is processed using cutting edge technology and supreme quality chemical compounds under the vigilance of our vendors’ professionals. Used as an antiviral treatment for patients suffering from a chronic hepatitis B infection, we provide this medicine in different packaging options, as per the demands of our clients. Our quality examiners test this medicine on different parameters, to ensure its purity. 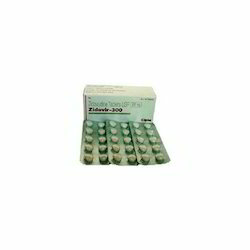 We have carved a niche as a leading firms of superior quality Zidovir Tablet. The offered tablet is processed under the guidance of vendors’ professionals using modern technology and the best quality chemical compounds. Furthermore, this tablet is checked on different parameters so as to ensure their quality. Our provided tablet is available in various packaging options for our clients to choose from. Looking for HIV Medicines ?